Howdy artists, theatre programmers, creative producers, festival organisers, events curators, comedy promoters and party makers! If you like the sound of any of my current or past work and think it would be suitable for something you are planning then I would be very happy to hear from you. If you are interested in collaborating with me to expand a previous project or develop something brand new then I would be very happy to hear from you. If you want to go for a cup of tea and chat about cryogenics then I would be very happy to hear from you. If you detest all of my work and find the very thought of my continued existence repugnant then I would be very, very happy to hear from you. You will find many ways to get in touch on my Contact Page. Easy now! Enjoy your self. If you would like to receive updates on upcoming gigs and appearances, please enter your contact information below. I promise I won't use this information for anything else, give it to anyone else or spam you with things. Just occasional, pertinent updates. Erik Stand and Sidney Still are a quirky pair of Freedom Fighters, trying to capture all the adults in the world and turn them back into children again. But they can’t do it alone! 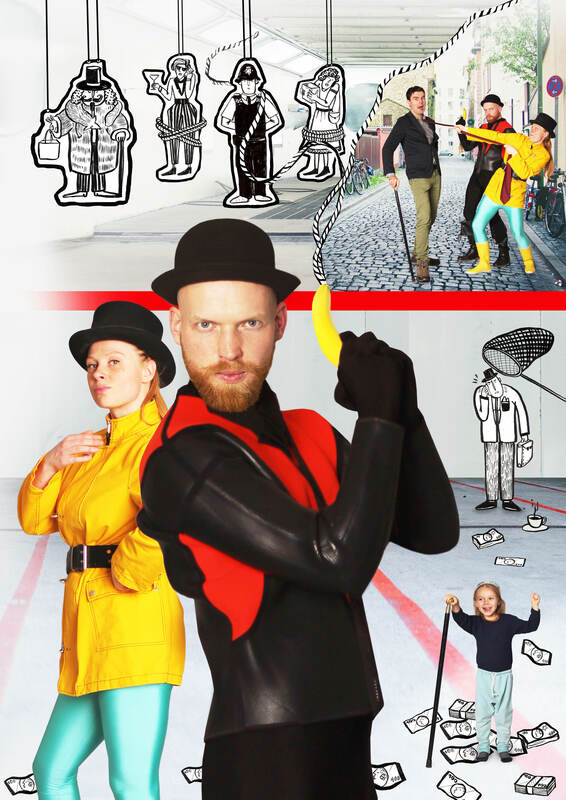 Step into the shoes of an Adult Catcher, in this captivating interactive adventure show full of comedy, clowning, super special effects, a stupendous plot and an intriguing set. This is a children’s show like you’ve never seen before! However, as the AC Team are soon to learn, adults aren’t always as mean as they seem; and changing them back into kids again can be even more unpredictable than it sounds! From the creators of 2018 Fringe Best Family Show Award nominee, ‘LET’S BUILD A PLANET!’, comes this innovative, exuberant and hilarious new production for 2019. Suitable for ages 4+. Adults more than welcome!